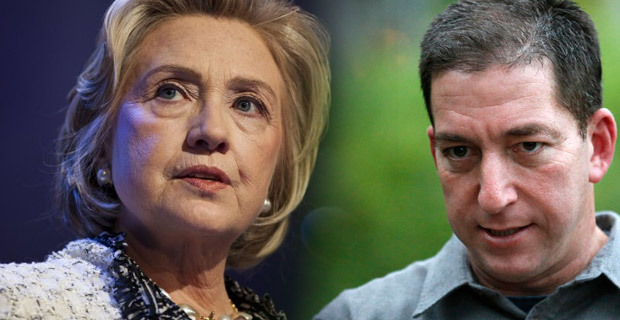 Glenn Greenwald, the attorney turned commentator who brought Edward Snowden to the world and showed how one man can change to view of the world toward the United States in the batting of an eye, from beautiful to ugly in the case of the NSA referrals made last year, vented his anger on “neocon Hillary Clinton“, always the hawk, ready to destroy and plunder. Matt Walstein of mediaite.com has the story. Copy this report by first moving your mouse over this link. The depress the button the the mouse and wait until the download is completed to remove the pressure.